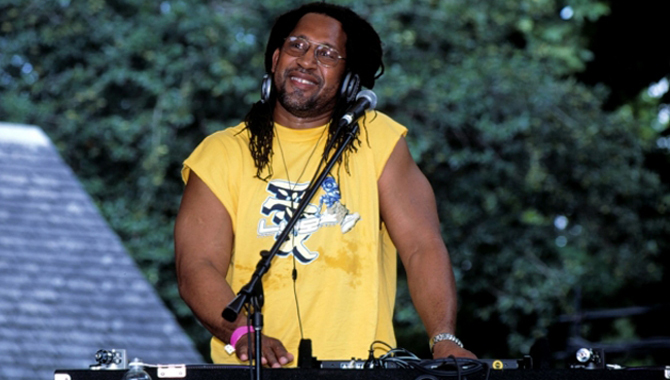 DJ Kool is an American DJ and rapper who produced several popular rap singles in the late 1980s. Raised in Washington, D.C., his influence from years of working the go-go and rap circuits became apparent in his music. In 1996, he released the single “Let Me Clear My Throat” on American Recordings, which charted around the world including the Top 40 on the Billboard Hot 100 and Top 10 in the UK and Netherlands in March 1997. The song prominently featured a sample of “The 900 Number” by The 45 King, (that song featured a sample from Marva Whitney’s “Unwind Yourself”, repeated over a breakbeat for six minutes). The song also began by sampling “Hollywood Swinging” by Kool and the Gang. The song is a recognizable dance floor-filler, and the track remains popular to this day.